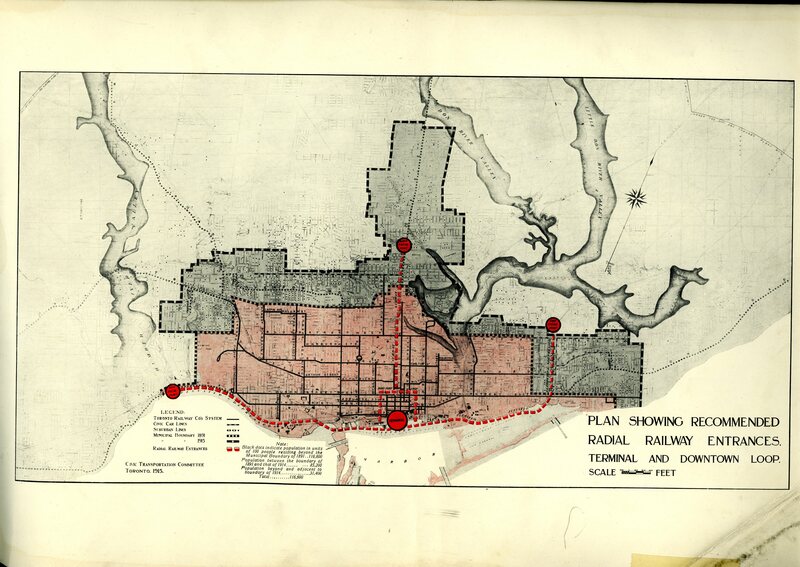 In preparation for my impending visit to the big city I’m posting some good, bad and ugly maps and data graphics–many of them far too colourful–from volume 2 of the Report to the Civic Transportation Committee on Radial Railway Entrances and Rapid Transit for the City of Toronto (1915). 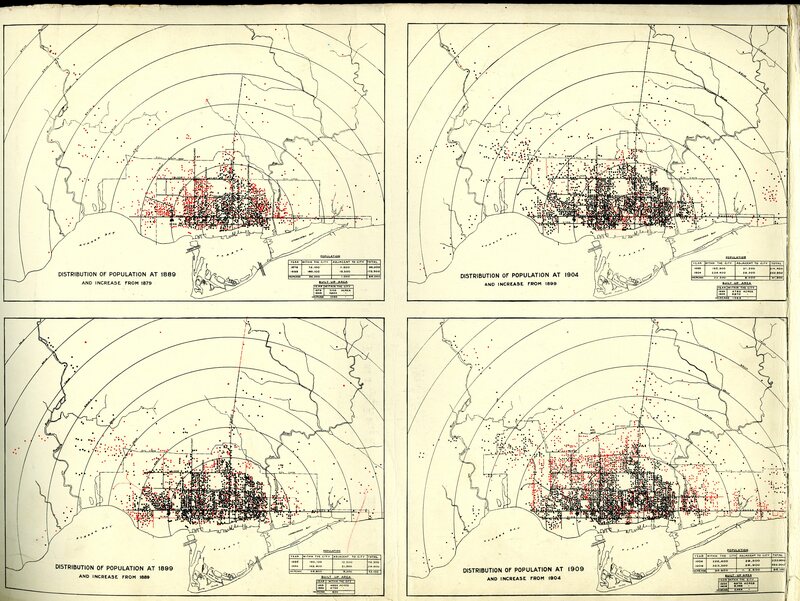 The sheer variety of techniques of data representation bespeak the anxious wonderment of this Winsor McKay moment in history. Click on any image for a link to a huge version of the whole, courtesy of the U of T Map & Data Library. 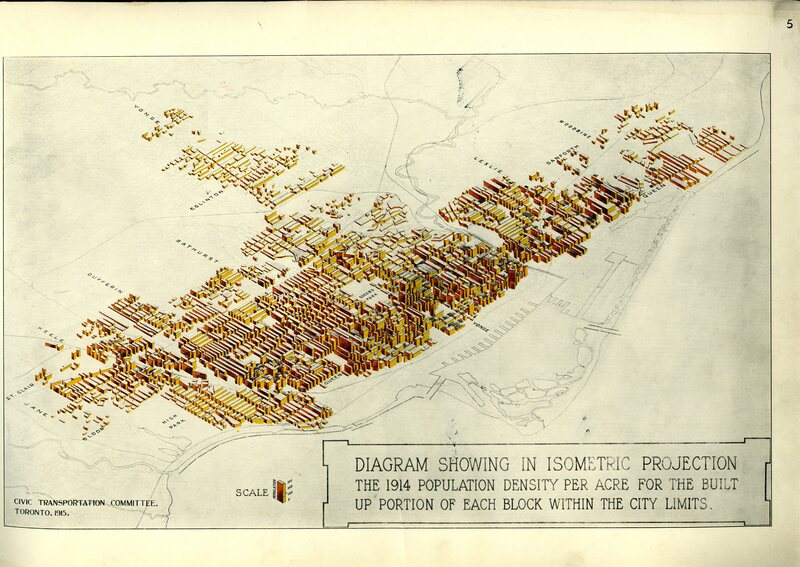 Diagram showing in isometric projection the 1914 population density per acre for the built up portion of each block within the city limits. Distribution of Population at 1914 and increase from 1909. 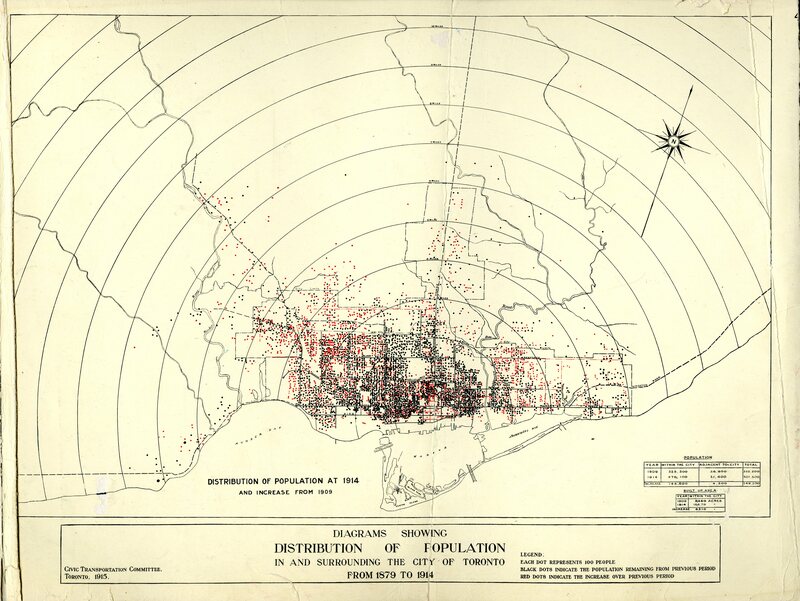 Distribution of Population for 1889, 1904, 1899, and 1909. Plan Showing Recommended Radial Railway Entrances. 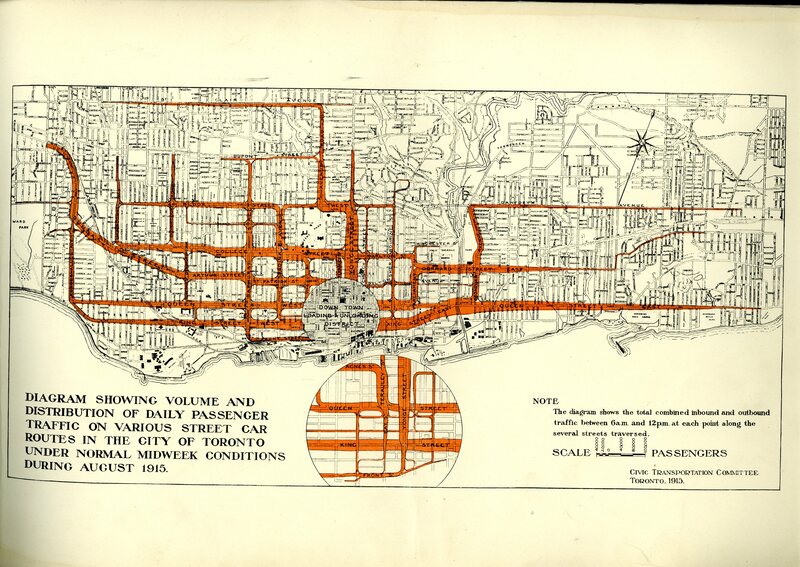 Diagram Showing Volume and Distribution of Daily Passenger Traffic on Various Street Car Routes in the City of Toronto under normal midweek conditions during August 1915. This entry was posted in history, Kanadische Kultur, libraries, maps, urbanism and tagged data graphics, Kanadische Kultur, libraries, maps, Toronto, urban planning on June 24, 2013 by grahamlarkin.